Audio video mixer is one type of video editor app, using this app you can add or mix your favorite audio files to video files. 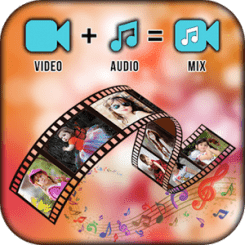 This application manage audio file size if the audio file length is larger than video files, it will be automatically trim audio to video's duration. If you like the Audio Video Mixer App than Don’t Forget Give 5 Star Rate & Review Also.